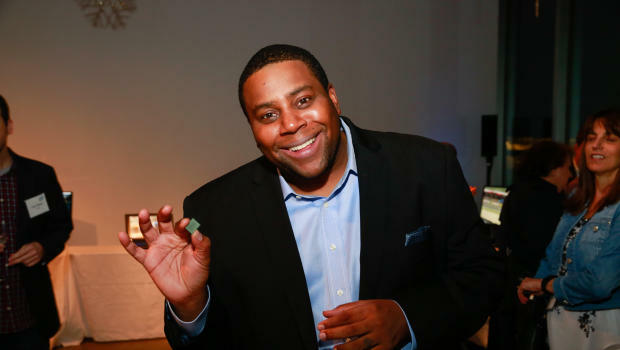 Kenan Thompson has been a series regular on “Saturday Night Live” for over a decade now. The comedian has myriad hilarious impersonations to his name since joining the show 14 seasons ago. His most memorable impressions include those of public figures such as Rev. Al Sharpton, Charles Barkley and Steve Harvey. There have been few moments in recent years in which the talents of the “SNL” cast members were watched more closely than during the recent presidential campaign between Donald Trump and Hillary Clinton. Week after week, viewers tuned in to the show for some much-needed comic relief, but it wasn’t all laughs behind the scenes, as Thompson explained to CBS News. “It was interesting for us because, you know, we tried to play the middle and not play favorites or whatever. It was tough holding up the mirror to people who we actually do admire in the same facet, but we did have to be fair to both sides,” Thompson said. He made the comments at a recent event for the Cristian Rivera Foundation, a group working to help find the cure for the Pontine Glioma brain stem tumor. Thompson, who is on the foundation’s board, spoke more about the election after presenting an award onstage. When asked which “SNL” sketch resonated most with him throughout the campaign, he quickly shared his response.